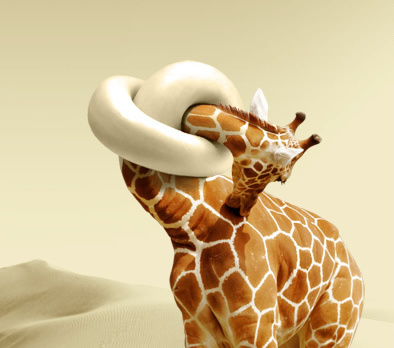 "Giraffe Neck Knot Photoshop Tutorial. 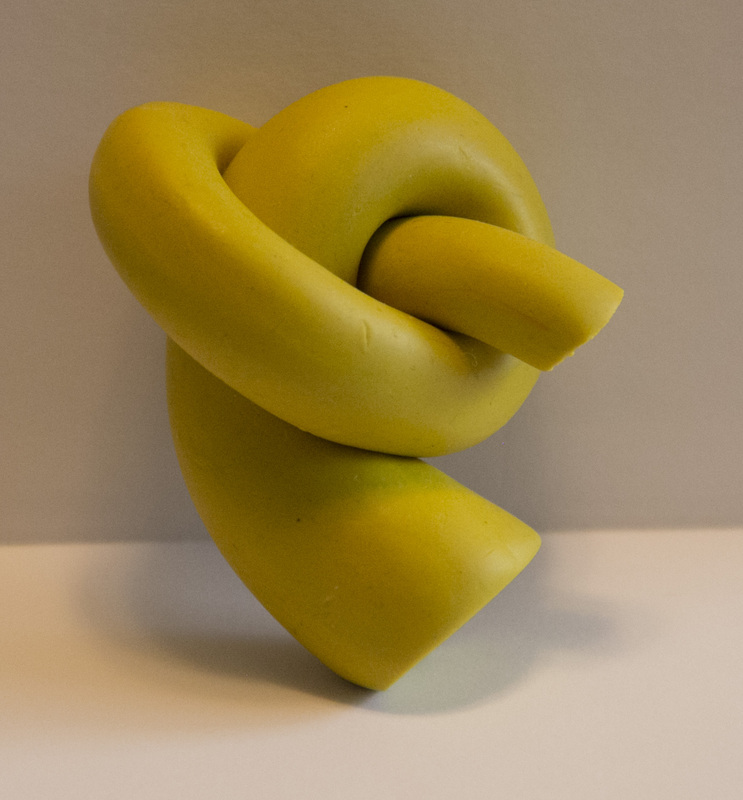 How to apply skin texture to the knot shape." 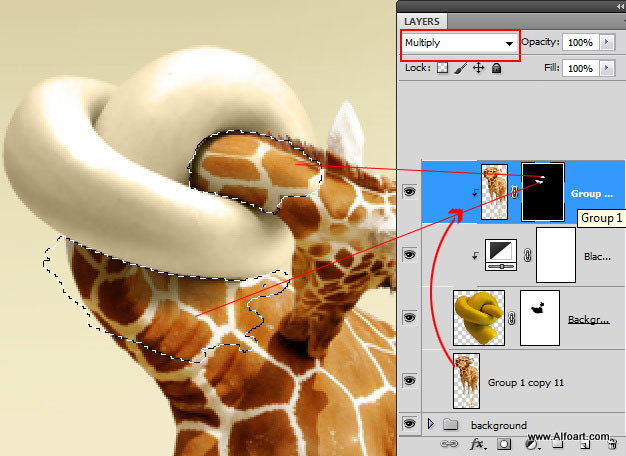 Learn how to create realistic giraffe neck knot effect and how to apply spotted skin pattern to the knot shape.. You may get .psd* file of "Giraffe Neck Knot realistic transformation" Photoshop tutorial by making a payment . Put the tutorial title in "Add special instructions to seller" line of PayPal and it will be sent to you shortly. 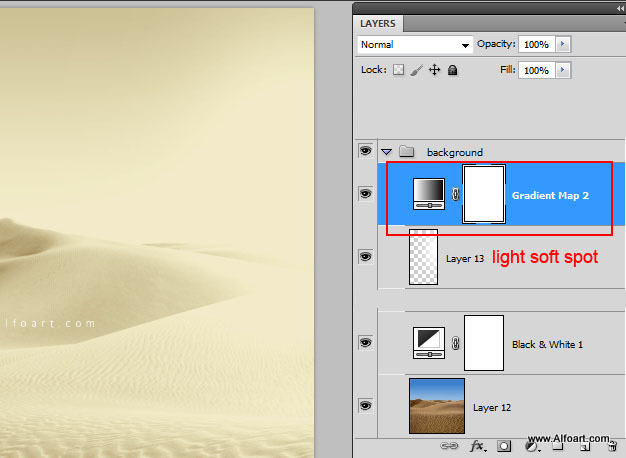 Create a new Photoshop document 550px X 800px, 72pixels/inch resolution. 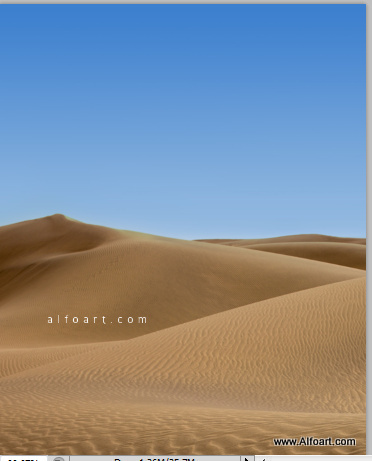 I flipped desert image horizontally and cropped the part below. 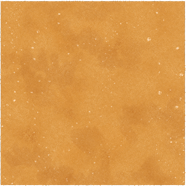 Create a new empty layer, take large soft white brush. 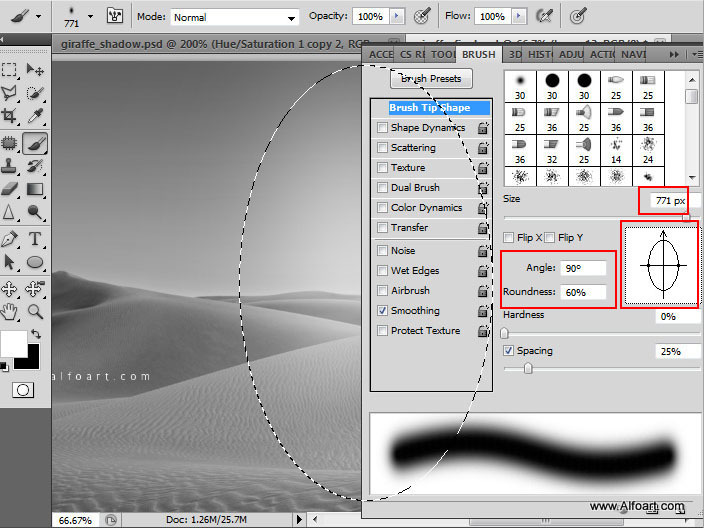 Correct brush shape using Brush Settings to apply oval silhouette. 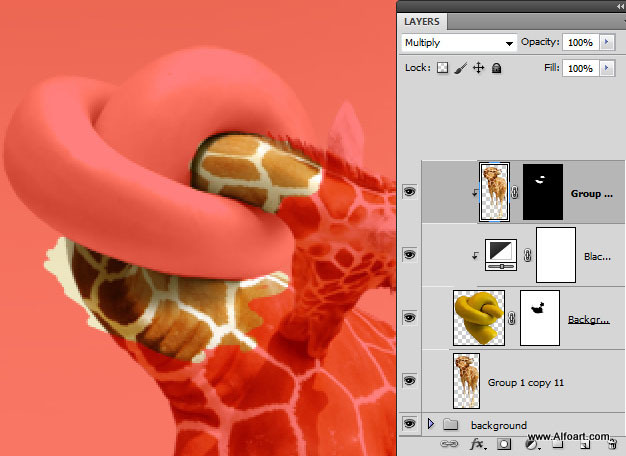 Touch right edge of the layer with the brush. 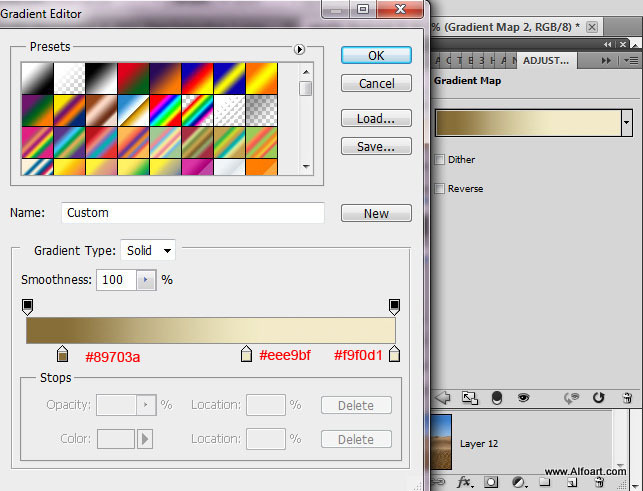 Create new Adjustment "Gradient Map" layer above of all previous layers - desert, light soft spot. 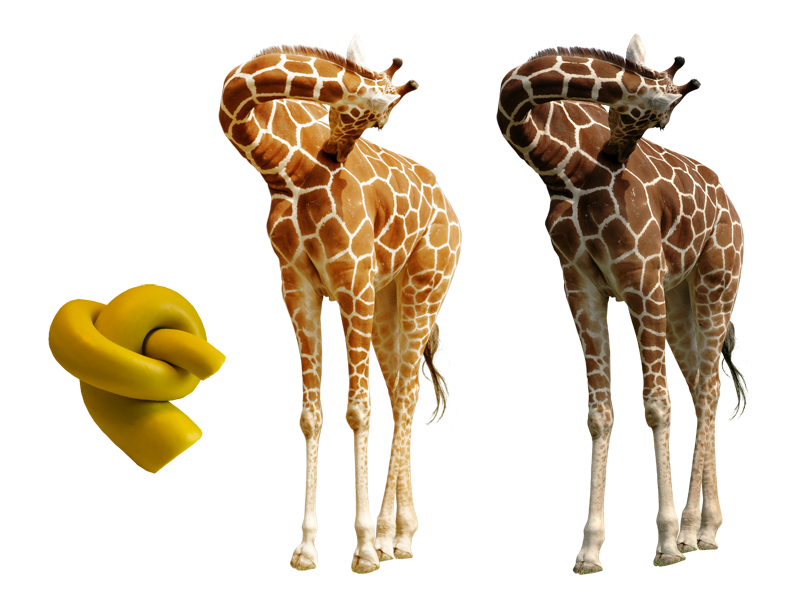 Place knot image above "Giraffe" layer. 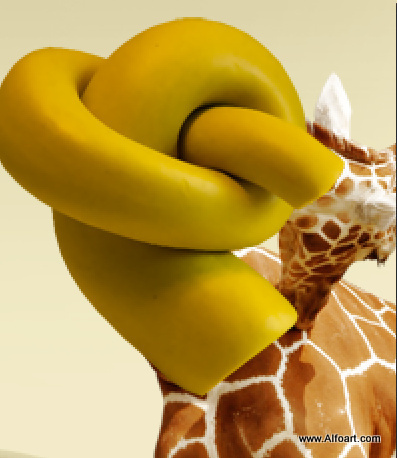 Let's make knot color similar to the shade of the of giraffe skin lines. 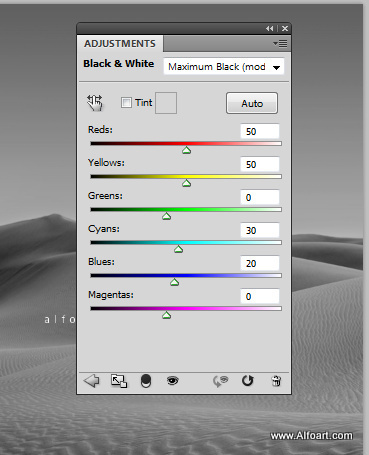 Add "Black and White" adjustment layer to the knot. 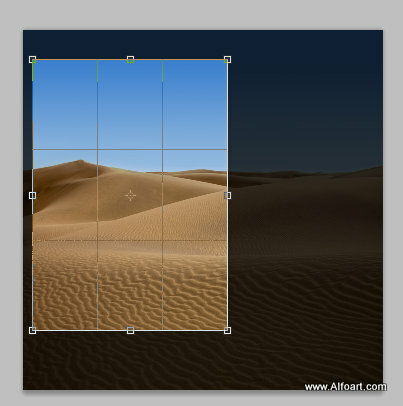 Convert this adjustment layer to Clipping Mask. 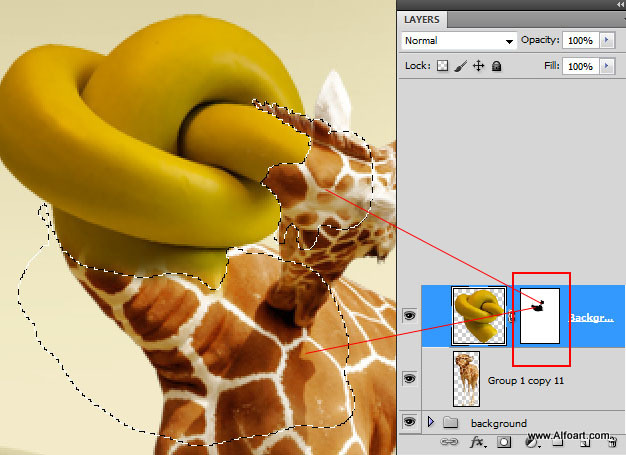 Right click adjustment layer > choose "Create Clipping Mask"
Return to the giraffe layer and duplicate it, place the created duplicate above "knot" layer and above"b&w"adjustment layer. 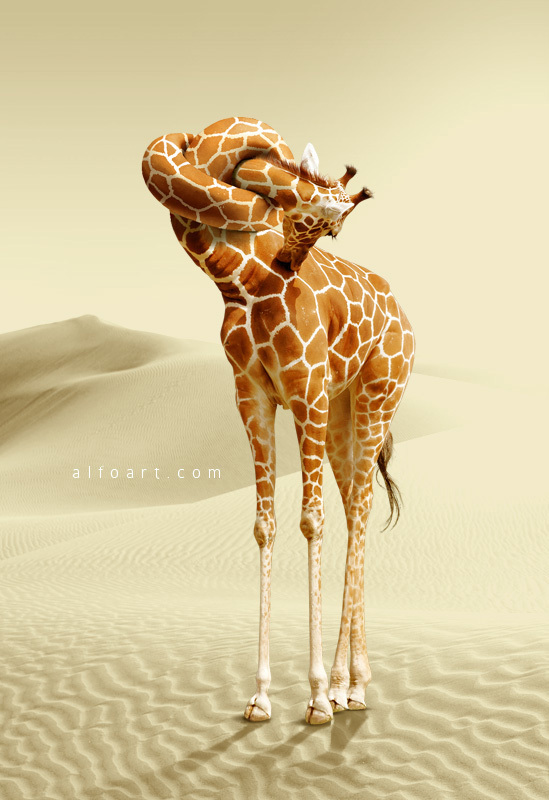 Apply Multiply Blending Mode to it. 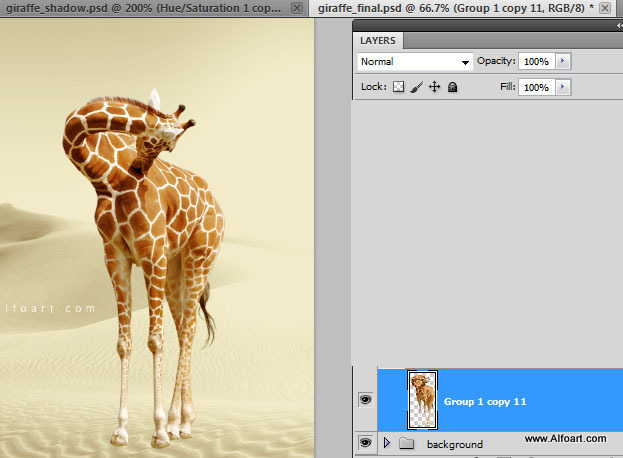 Create Clipping Mask from the duplicated giraffe layer as well. 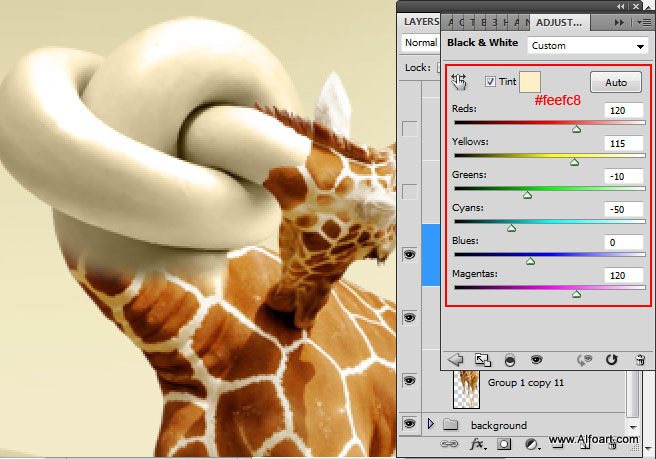 Add Layer Mask, fill it with black color, then make visible only selected "knot areas". 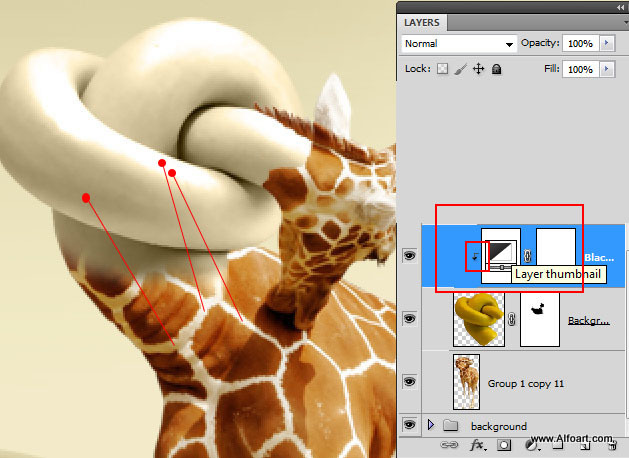 Use white brush or make selection with the Polygonal Lasso Tool and fill selected area with white color in Layer Mask.